all hail the mighty lemon! 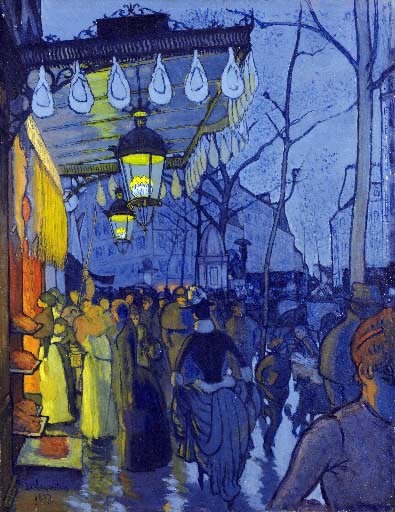 Last year in French class, there was a discussion about the Menton Fete de Citron. My friend Michel scoffed at the idea, wondering how can they have a whole festival for a goddamn lemon? 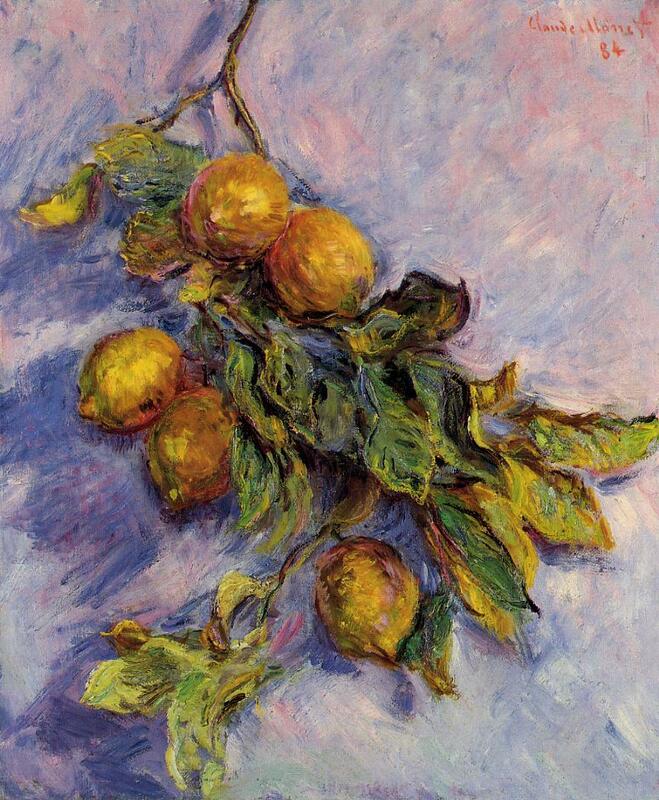 He wound up going and returned a changed man, with a newfound respect for both lemons and the French who gave the lowly fruit the love and attention it deserves. This year, my friend Angela and I embark on the same pilgrimage hoping for a similar transformation. 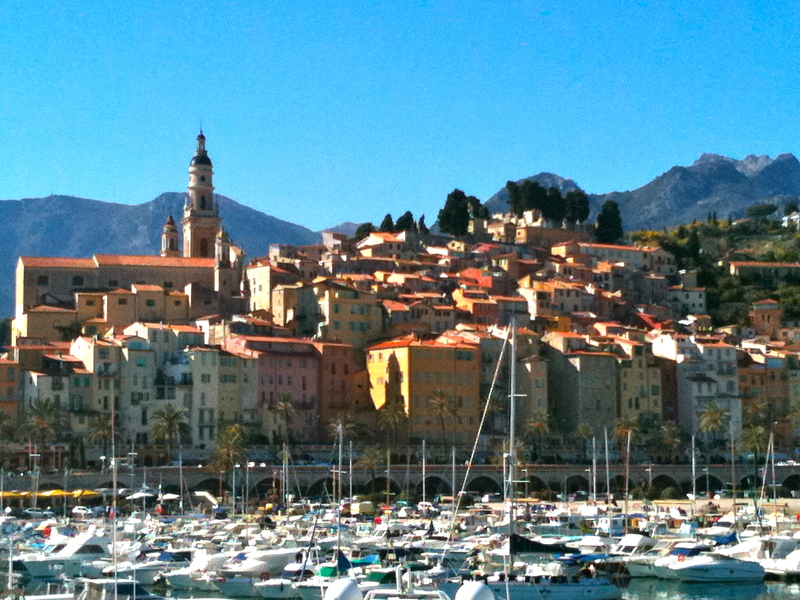 Menton is two or three train stops east of Monaco/Monte Carlo (about 10 minutes), on the French/Italian border. You can feel the Italian influence as well as hear, smell and taste it. For a place you’ve probably never heard of, it’s quite beautiful with grand buildings built in the 1900’s when rich nobles wintered here. It boasts a long pebbly beach fringing blue, blue water, an old town splashed in the warm sunny colors of this patch of the Mediterranean. It’s surrounded by dramatic cliffs that seemingly drop from Alps to the Sea in a heartbeat creating a perfect micro-climate (316 days of sunshine a year, they say). So, what is Menton’s main claim to fame? Lemons, of course. Well, citrus in general. But the Menton lemon is special. It’s larger, often misshapen. It’s also supposedly sweet enough to eat like an orange (I beg to differ). Legend has it that when Adam and Eve were expelled from the Garden of Eden, Eve grabbed a big, golden lemon from paradise and took it. When they finally settled in Eden-like Menton (which was probably called something else back then), she planted it. An industry and tourism hook was born. 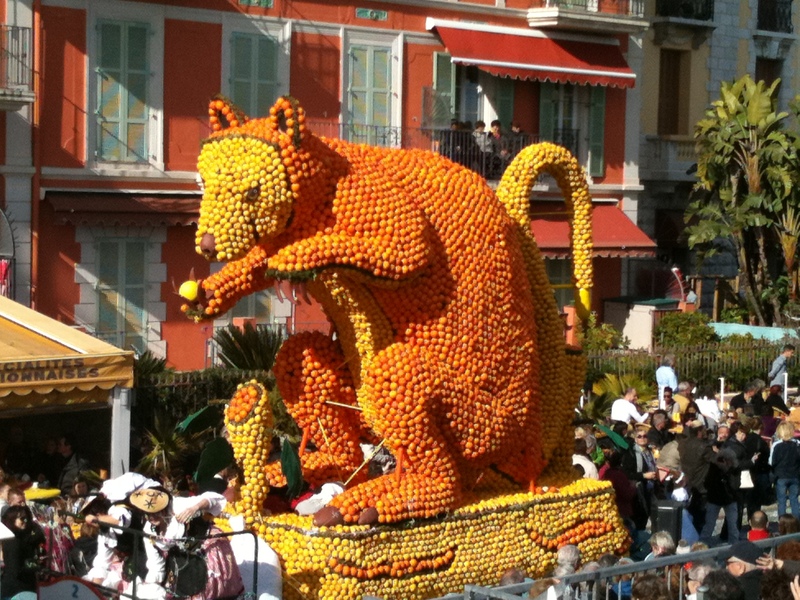 Every year at the end of February-early March, the town of Menton holds a Fete de Citron. It’s their equivalent of Mardi Gras except replace the beads, masks, great music and young people with lemons and oranges. The place is packed. I’m a little frightened despite the fact that half the attendees are walking slower and more laboriously than me (the median age here, appears to be about 70—I feel like a spring chicken).. This is my first major public outing without my walking boot, and one pushy German could ruin my hard won, still tenuous mobility for me. Orange trees line the streets, full of ripe oranges, festive in their own right. There’s something very reassuring about a place where food grows on trees. I put Menton down on my list of possible places to be broke and homeless. The theme of this year’s festival is “20,000 leagues under the sea.” I honestly don’t know what it has to do with citrus, but what the hell. 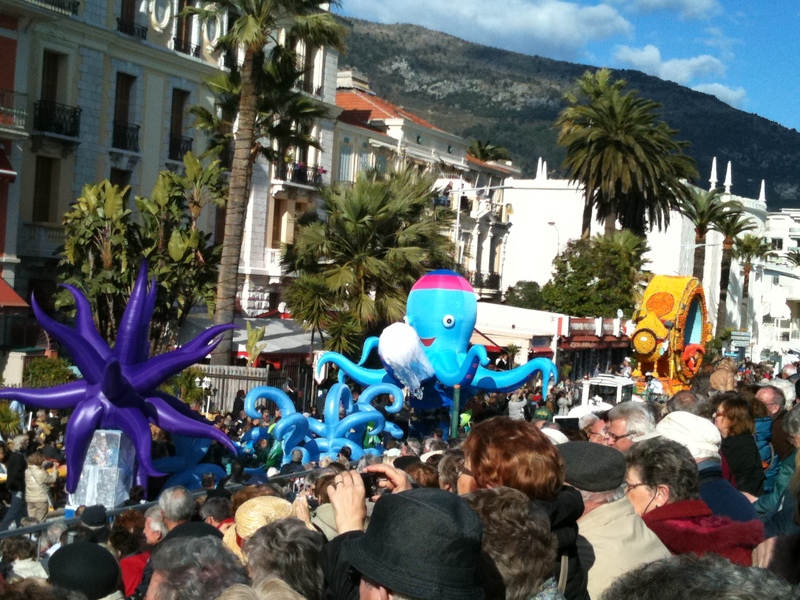 The parade is the strangest combination of floats: ships, fish made of citrus, mermaids and the most baffling float of all, a kangaroo made of citrus. Possibly left over from the Australian themed Fete de Citron, or maybe the Marsupial themed one? There’s also a garden of displays (like the Eiffel tower and pagodas done entirely in citrus) and fireworks at night, and all kinds of citrus based products being sold. Rumor has it, the lemons and oranges used in the floats and displays come from Morocco—which I suspect is true, given their uniform, smallish size. Some of these Menton lemons are bigger than a pamplemousse! Possibly the most exciting part of the Fete de Citron for me, is the Menton lemon honey I sample in the one the stores, Mille et un Miels. OMG. Give me a straw. Hell, I’ll chug it straight from the jar. I’ll eat it with my hands. Angela and I both buy a jar. When I get home, I sit down to Google Menton over a nice hot cup of Lemon Honey (with a little water). I discover that Jean Cocteau the French poet, novelist, dramatist, designer, playwright, artist, filmmaker. 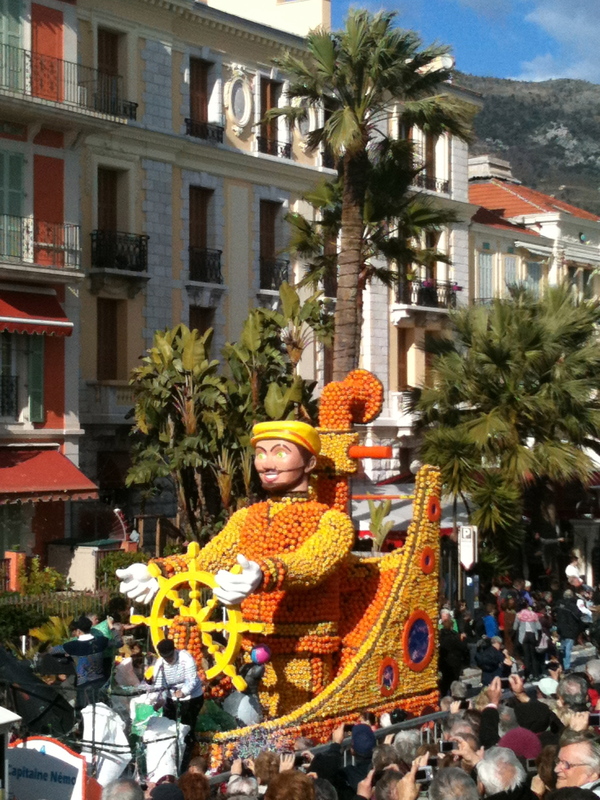 and general post-modern Renaissance man was an important part of Menton. 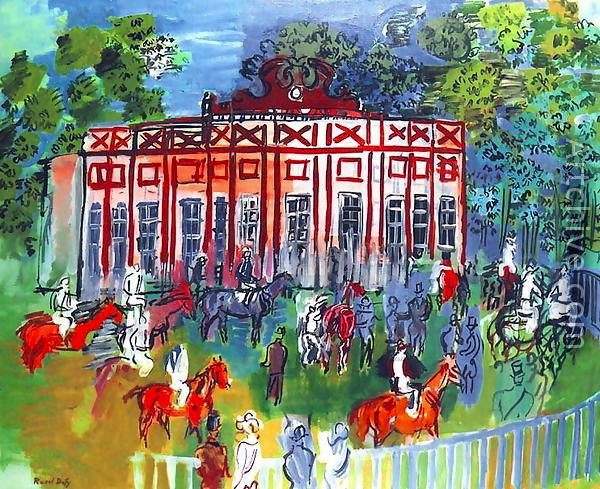 There is a Cocteau museum showing his work, as well as that of his friends’ Picasso and Matisse. You can see more of his art in the Bastion, on the waterfront. Being a person of taste and culture, suddenly, I’m obsessed with going back to Menton. I’ve got to get more of that lemon honey!